Joker پیپر وال. . HD Wallpaper and background images in the The Joker club tagged: the joker the dark knight heath ledger. 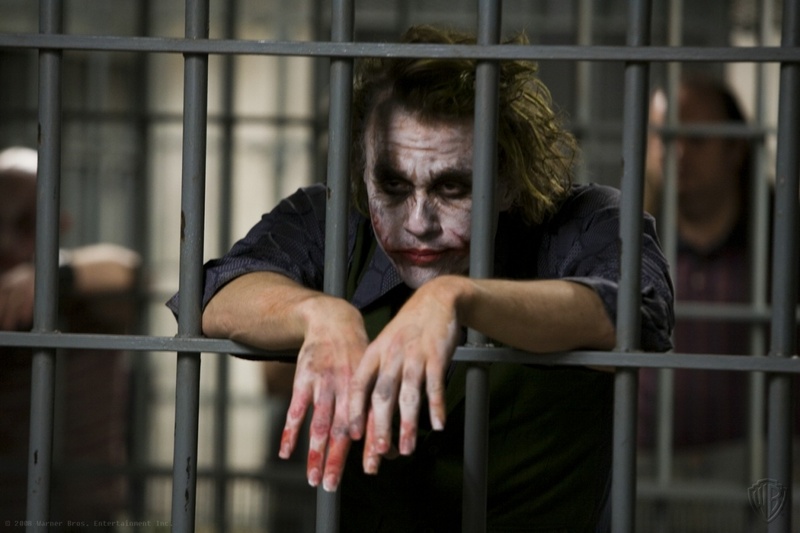 This The Joker photo contains حوالات, holding cell, سیل کے انعقاد, تعزیری ادارے, تعزیری سہولت, تعزیرات کی سہولت, سیل, جیل, قید خانے, and جیل کے سیل. There might also be گھومنے دروازے, روالور, ریوولوانگ دروازہ, and پستول.